Here at Solution Consultants, we offer a range of services designed to safeguard, support and secure your IT infrastructure. We can offer a fixed price IT support package so you don’t need to worry about all the little extras resulting in unexpected bills. As well as assessing your current infrastructure, we will consult with you on your future IT requirements and find the best fit for your business. Our fixed price will be bespoke to you and your IT Support requirements. We also offer a broad range of Cloud Based Services, reducing costs by removing the need to maintain your own local hardware and software. From Microsoft 365 and Google Services, through to Online Backups, VOIP services and CRM Integrations, our Cloud services will have you covered. Obviously making the best use of such cloud services requires business grade connectivity. Solution Consultants are able to deliver full data provisioning and 24/7 management of your network in order to ensure you, your systems, your workforce and your clients, remain connected. We also handle the more traditional elements of IT support by providing various IT Hardware and local networking infrastructure into your business. Historically users would run programs from their physical PC or from a server in their building managed by their IT department – Cloud Services means storing and accessing both data and programs over the internet instead. The end result is exactly the same, with an online connection cloud computing can be done anywhere at anytime. A business-class hosted e-mail application that provides organisations with access to the full-featured version of Exchange Server without the hefty price tag. It allows users access to email, calendars, contacts and tasks. Depending on your subscription you can get a 50GB mailbox limit or unlimited. A unified communications platform that integrates into an organization’s Office 365 suite. Its core features are messaging, calling, video meetings, and file sharing. A cloud file-hosting service that integrates with your office suite and allows you to access your files from any device as well as allowing you to sync it to your devices. Is a browser based platform that can boost the efficiency and effectiveness of your organisation by enhancing communication, collaboration as well as streamlining the management of and access to your data. Cloud Backup enables any business to backup servers, physical workstations, complete hard disk images and any other file based system. This is all backed up to a secure Tier IV and SSAE 16 certified UK-based datacentre. Allows you to set an e-mail signature for one user or the entire department and it ensures that even when sending from a mobile device, home or on a tablet that you have the same signature. Uses sophisticated, multi-layered detection engines and intelligence to protect email data and employees from malware, spam, phishing, and targeted attacks 100% from the cloud. Is essential for any business, that’s why we’ve partnered with Eset so that we can provide an enterprise grade anti-virus solution that will provide comprehensive endpoint protection for your PCs. A reliable and secure network is paramount to anyone’s business, that’s why here at Solution Consultants we have experts in IT networking that can help develop and install a flexible system that can adapt with your business needs, at a price you can afford. It’s a great way to keep costs down and to get a good long-term return on your investment on a server as you could potentially run multiple servers on the one physical device. You can use tools that monitor a server’s performance (CPU, RAM, HDD Usage) as well as disk utilization to ensure that the customers mail/file servers are never full. – This allow us to be proactive. Software can be used to restrict a work mobile so that it’s only used for work purposes by restricting what apps can be downloaded. It also provides more security for the company as it encrypts the data on the device, if it’s lost you can trace the phone or even remotely wipe the data. Wireless Installations, Office relocations, Office Audits, Site to site VPN (Virtual private network), CAT5 cabling and crimping, Secure remote access setup. 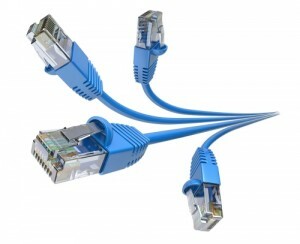 IT connectivity is a vital part of all businesses. Numerous applications run off the back of it. We work with most wholesale data providers across the UK and Internationally, with all connectivity options, managed 24/7 days a week. With our Network monitoring software we’ll be able to keep tabs on your business critical network devices to give you piece of mind. Our software allows us to see in real-time what’s happening on your network so if any problems did occur we can proactively deal with them to ensure you a fast resolution. If you’re having problems with a slow network we’re able to track bandwidth usage and saturation down to the port level. Monitor I/O performance, check for packet loss, and be the first to know if a critical port goes offline. It’s not just switches and routers that we’re able to monitor, it’s printers, security cameras, servers and pretty much any other IP-enabled device.